A lot of business competitive strategy is derived from military and war strategy. One rule is focus. Focus your resources. Don't fight too many battles at the same time. Don't spread yourself too thin. Makes sense. And really does sound obvious. Yet many smart companies have broken this golden rule and paid the price. Pepsi did - and suffered. 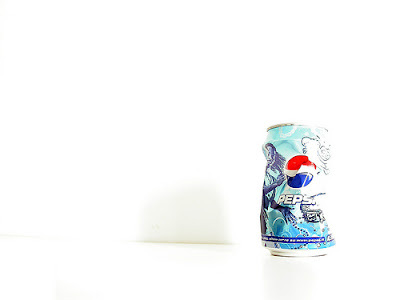 At one stage, Pepsi was fighting three major battles at the same time; (1) Against Coca Cola in soft drinks. (2) In the snack food market, Pepsi owned Frito-Lay and was competing against both Proctor & Gamble and Mars. And (3) in the fast-food market, it owned Pizza Hut, Taco Bell and Kentucky Fried Chicken - so was competing against big players, McDonald's and Burger King. And even though Pepsi was bigger than each of its main competitors, it performed worse. Of course it was able to sell Pepsi Cola and Frito-Lay snacks in Pizza Hut and their other fast food outlets. But the flip side is other restaurants preferred to buy Coca Cola as they viewed Pepsi as a competitor. They may even have lost customers because they didn't stock Coca Cola in their fast food restaurants. I remember as a teenager, choosing McDonald's because Burger King served Pepsi, not Coke and I never liked Pepsi. Eventually Pepsi sold off its restaurant business. More on focus here. Sources here and here.